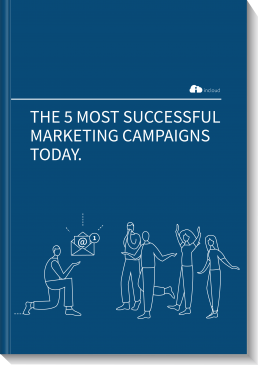 This article is the third of a series of the most successful marketing campaigns. For every campaign, we’ll give you tips and best practices! As the customer life-cycle can sometimes resemble a romantic relationship, we will show you how to create your happily ever after. The customer life-cycle experiences constant evolution, similar to a romantic relationship. Different phases require different actions and attention but the end goal remains the same: you want to be together forever and have your customer be as happy as possible. 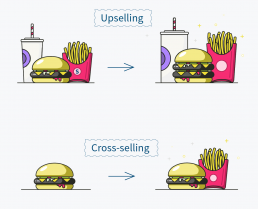 As you may have guessed, selling to existing customers is by far less expensive than acquiring new customers (the buying cycle is often shorter than wooing a new customer). If for example, they bought a refrigerator, they would perhaps be interested in a stove as well, this is an opportunity to cross-sell. When it comes to up-selling, an example would be a recent BBQ purchase and propose them cooking accessories to go with it. Just beware to use these 2 tactics in moderation because too much choice can lead the customer to take no action at all and just walk away “needing to think about it”. The goal is to entice an impulse purchase here. expensive product needs to thus be clearly conveyed. Implementing a loyalty program, such as a points system, is a good way of retaining customers and increasing your sales. Customers who frequently buy your products will earn points, which in turn will translate into some type of reward, discount or special treatment. Use the point system as a trigger based communication with the information you have on your customers. The goal is to give your customers relevant information, rewards, and offers at the right moment. customers‘ needs. The point system should not only increase loyalty but increase customers’ consuming of your products. Sending out rewards freely to everyone can make you attract the wrong target audience. It’s important to map out who gets what rewards and always link it to sales and branding. Today, personal recommendations are the most powerful form of marketing. We prioritize other people’s reviews and recommendations of a product, especially when it comes from a trusted source. Sponsoring a friend in exchange for a discount could lead to a new customer and subsequently increase your email database. For example, with many furniture stores to choose from when you’re getting a new couch, it can be a bit difficult to know what store to trust. A recommendation from a friend could make the decision very easy. You can offer the discount at the purchase moment, in a newsletter or in the order confirmation email. Companies always need to be on the lookout for the most effective way to get more prospects and make sure to not lose any potential sales from an abandoned cart. Did you know that 67% of online shopping carts are abandoned before the customer completes a sale? That’s a lot of money left on the table here. There are different reasons why people abandon shopping carts. The website could have crashed or been too slow, the buying process was too complicated, or they simply changed their mind about the product. You can either send a reminder email or create a re-targeting ad to reach these customers and try to convert them. An abandoned cart email is easy to create and should include the exact items the customer left behind. A discount or coupon can also be offered in the email or simply a reminder of an ongoing promotion your brand is running. Aside from reminder emails, re-targeting ads on websites or social media channels can also help win back a sale. These ads are an effective way to remind customers of items they have browsed and potentially offer a discount to help along conversion. Discount codes and coupons have a big impact on purchase decisions. 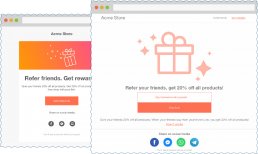 Offering discounts in a pop-up is a great way to increase sales, but we all know that the majority of people online find pop-ups extremely annoying. Keep in mind that a visitor to your site is probably looking for a product or to solve a problem and the last thing they want is something interrupting their search. So how can you use pop-ups in a relevant way? The answer is: timing and location. You can show your pop-ups based on the visitors’ activity on your site. This allows the user to read your content in peace before redirecting their attention to your offer. That way the pop-ups won’t come off as annoying and they are more likely to consider the offer than ignore it. Pop-ups can also be shown before the visitor exits the site, which can reduce the number of abandoned shopping carts. You can either offer the discount directly or have them fill out a form to receive the coupon by email (side benefit: you get to grow your database). Appear everywhere on a site – below, above or alongside content. This can be a great advertisement opportunity if you want to reach as many users as possible. 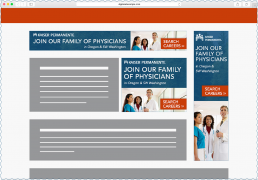 Display ads have the advantage of being flexible in terms of format and style. You can make flashy, fun or serious ads in the form of videos, images, GIFs, interactives or text. Google stands for 90% of search results and people will land on your search ads based on how related they are to their specific search query. Your goal isn’t to steal someone’s attention from their current search, but rather inject your content into their activity. There is a higher chance of converting prospects through search ads because those who see them have already been searching for information related to your product or service. Admit it, social media is an ever-increasing digital distraction and marketers continue to push more messages and ads through every platform. People scroll through their feeds in search of distraction, which makes them more open to read and click on ads they come across. Advertising on social media is, therefore, a great opportunity to reach a specific audience and give your business a great ROI. No matter how good your products/ services are, your customers are most likely to remember the direct interactions they have with your brand. That being said, the longer the response time, the lower the customer satisfaction level. So, as much as possible, try to respond to customers within the hour- even if it’s just to let them know you will get back to them shortly with more details. Knowing your audience is key to creating personalized landing pages for them. The more personalized the page, the higher the conversion rate. This is an example of how Dynamic content comes in handy. convert best. Generally, content that speaks to “why” a customer needs the product as opposed to “what” the product about tends to perform better. Make it visual: Give the customer a visual checkout so it’s clear exactly where they are in the process. Minimize the steps involved and make it as easy and clear as possible. Placing checkout buttons both at the top and bottom of a landing page also lead to quicker checkouts. Create an account (this is a win-win): the customer can have a quicker checkout process next time they shop and the company collects new emails. Many companies fail at this by forcing users to create an account before they can complete their order, which can lead to abandoned carts. Try asking this after the purchase is complete, customers will be more likely to create an account if it means they can easily track their package. Be clear about shipping costs: There is no bigger turn off than unexpected fees right when you are ready to click the “place order” button. Inform customers upfront about any shipping or handling fees and speak to the benefits of the various delivery alternatives so they can make an informed decision. Annnd that’s it for today. I hope you find your happiness in this chapter. Because as we know that there are ups and downs in every relationship, next time we’ll talk about win-back programs!